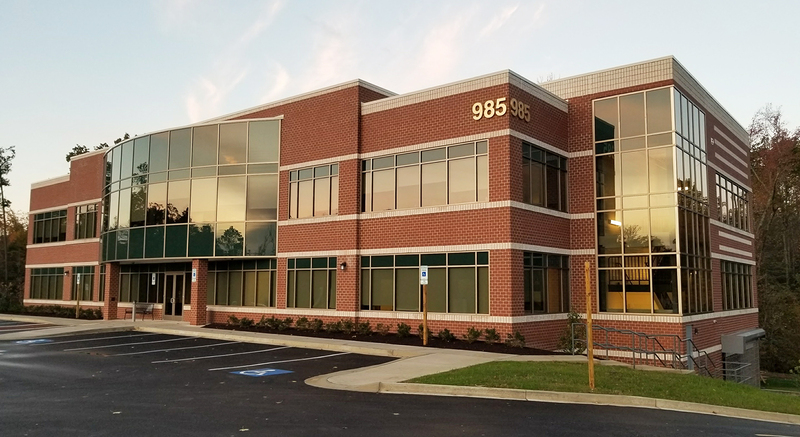 The recently opened Market Square 200 office building is a 27,960 SF, LEED Certified, Class “A” office building located in Prince Frederick, MD. Market Square 200 has two floors with covered parking below, access control system and a security camera system. Market Square 200 is conveniently located in the Market Square Retail Center, adjacent to the Market Square 100 office building, and right across the street from Calvert Memorial Hospital. These units have direct access from outside on the first floor, and lobby access on the second. Each suite has individually controlled HVAC systems, are are separately metered, and are cable internet ready. There are numerous amenities including elevators, the ability to walk to Calvert Memorial Hospital, Nick’s of Calvert, Office Depot, Petco, Wawa, Rite Aid, and the Calvert County Library..
Market Square 200 is ideal for medical professionals due to its close proximity to the hospital. ©2018 Generation Properties, LLC. All rights reserved. Leasing and building management by MPI Management, LLC.